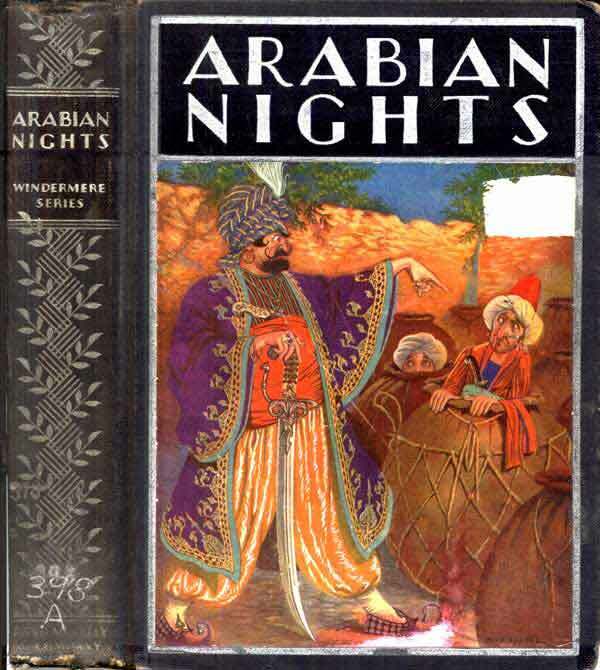 The stories and folks tales referred to as One Thousand and One Nights or the Arabian Nights is a collection of popular Middle Eastern and South Asian folk tales gathered over several centuries, first published during the Islamic Golden Age. Their authorship is attributed to "Anonymous" because these stories are by numerous authors from a range of ethnic, geographic and literary traditions including Arabic, Persian, Egyptian, Mesopotamian, Jewish, and Indian. Some of the most popular stories, which we feature in our collection: Ali Baba and the Forty Thieves, Aladdin's Wonderful Lamp, and The Seven Voyages of Sinbad the Sailor, were probably not included in the earlier editions until European translations were published under the title Arabian Nights, perhaps first by Antoine Galland (French) in 1704 and 1717. All the stories share a common framework, told as either a narrative or as a riddle, often a story within another story. After the "Sasanian king," Shahryār (Persian) executes his unfaithful wife and believes all women are traitorous, he marries a succession of virgins, only to execute each the next morning until there are none left except Scheherazade. She is so clever that to remain alive, she decides to tell the king a tale so captivating and suspenseful, he continues to postpone putting her to death night after night in order to hear the story's conclusion. You guessed it, this went on for One Thousand and One Nights (or longer). We hope you enjoy sharing these adventurous stories with your children, perhaps sparing them the explanation for the necessity of their invention. We have chosen the Windermere series edition (1914) with gorgeous illustrations by Milo Winter. These stories are featured in our collection of Books for Young Readers.